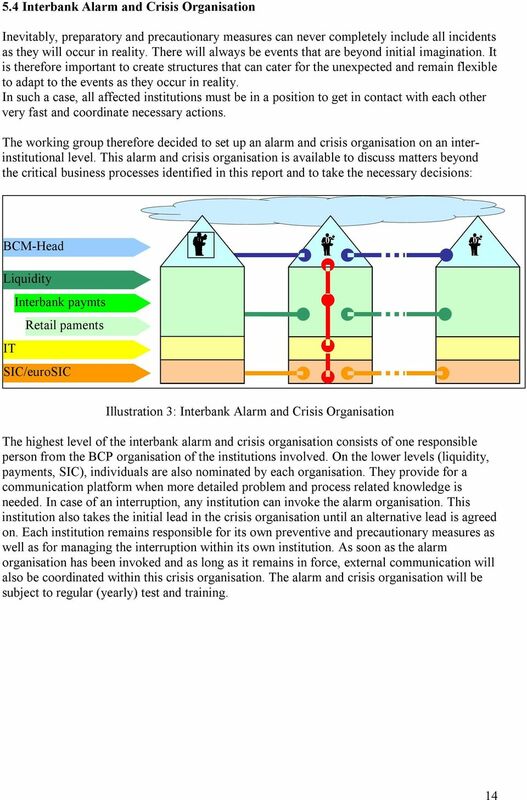 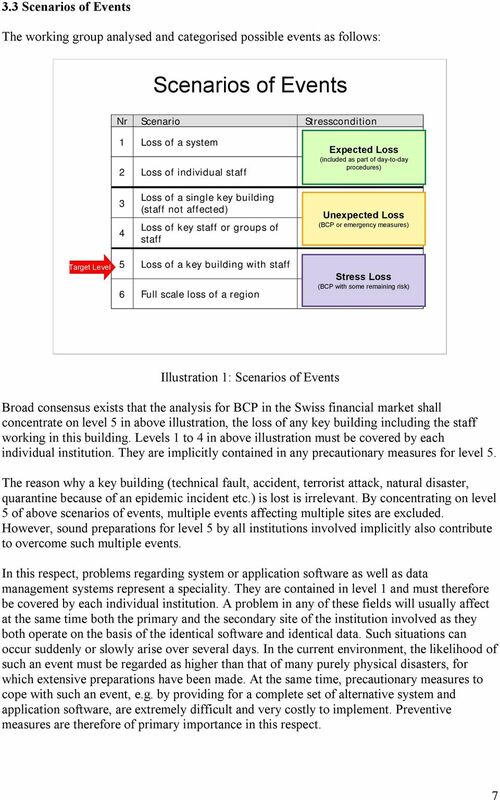 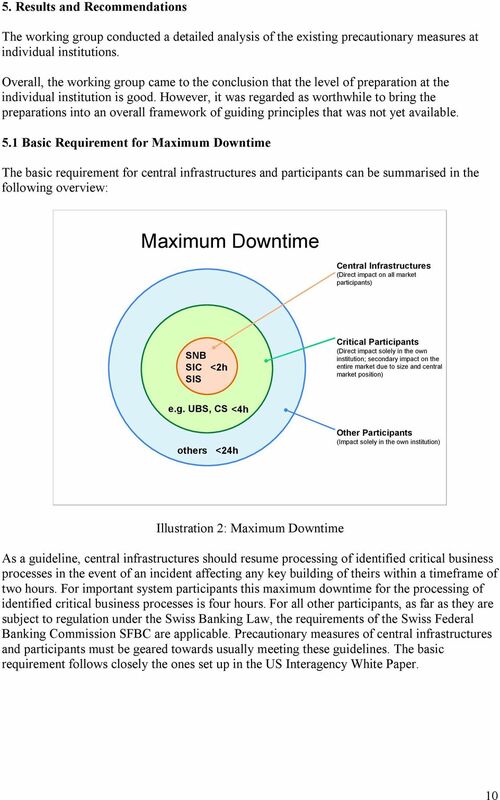 Download "Business Continuity Planning in the Swiss Financial Centre. 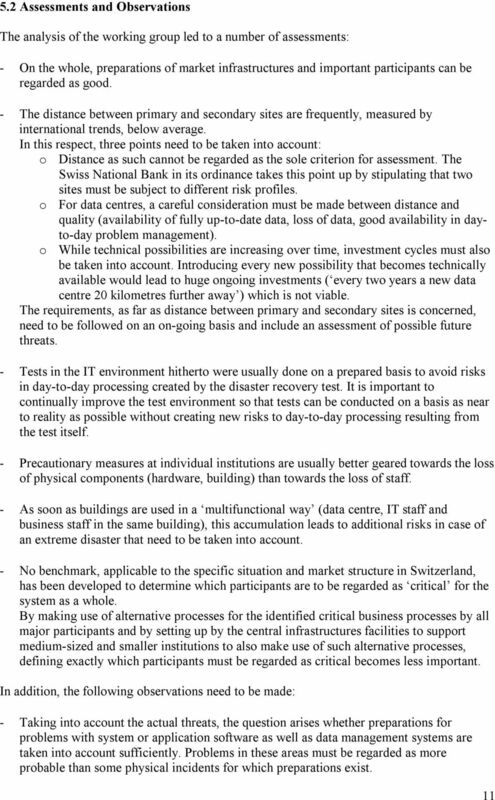 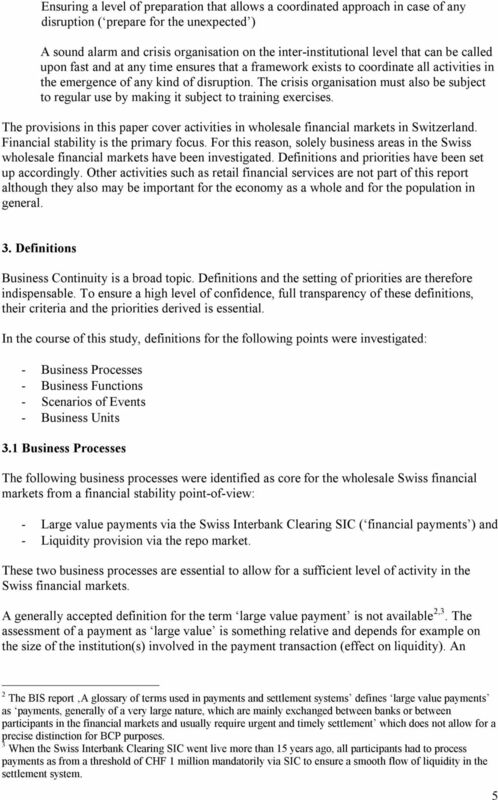 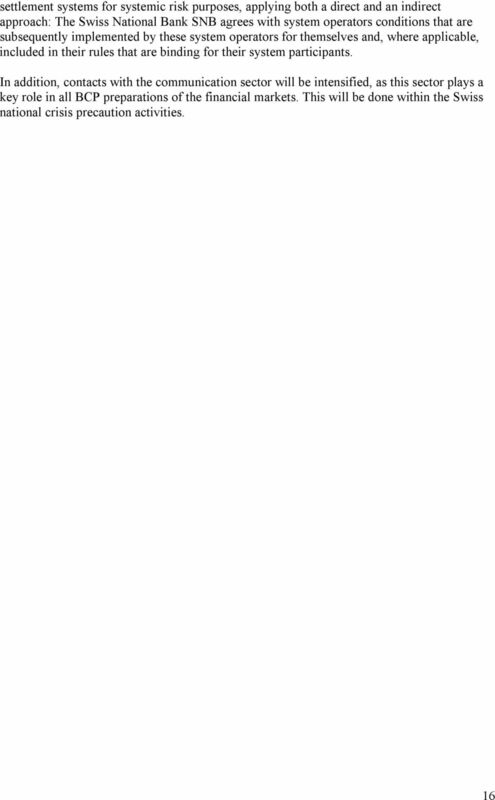 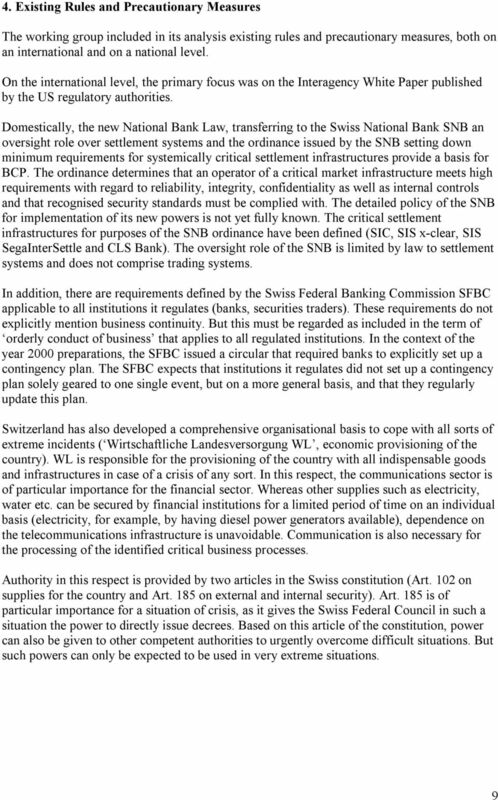 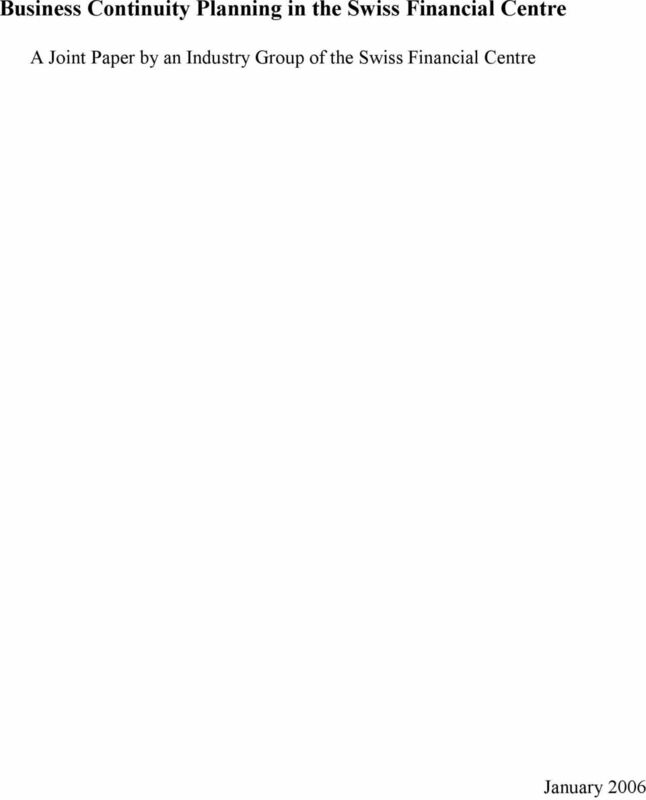 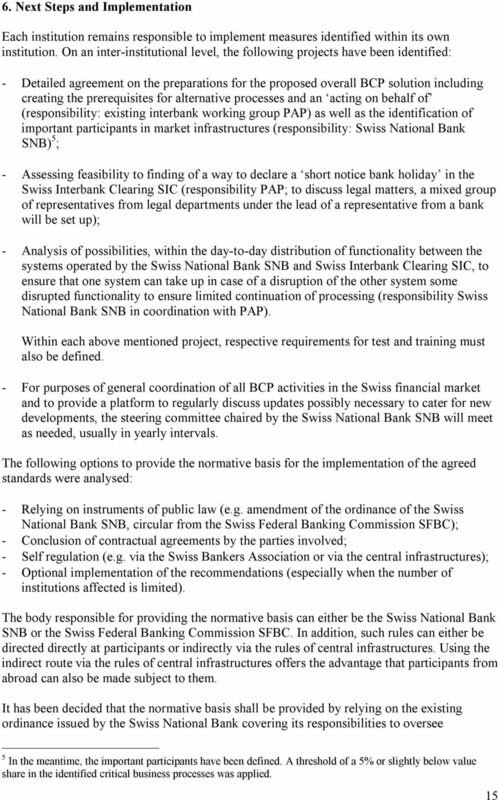 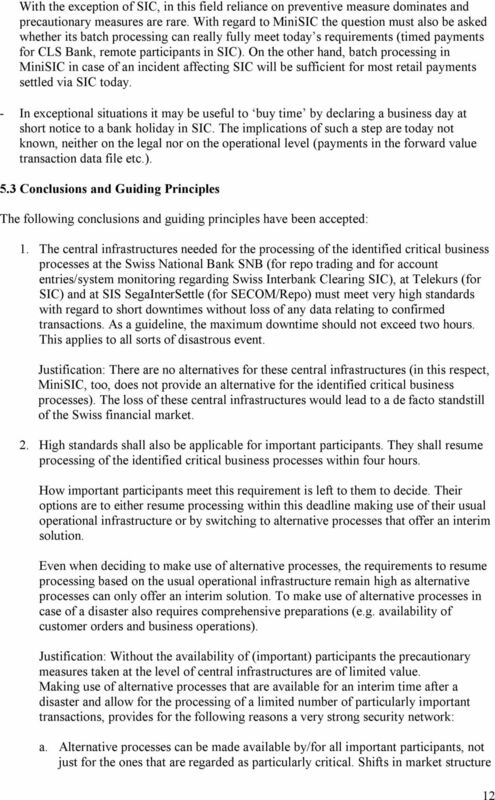 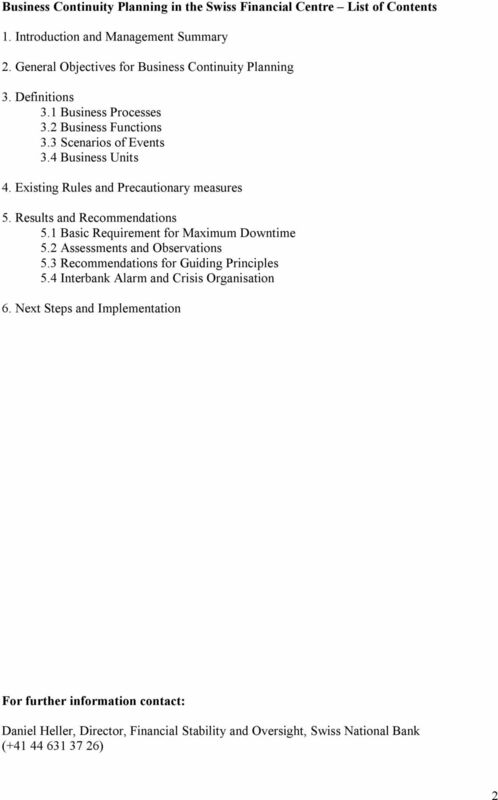 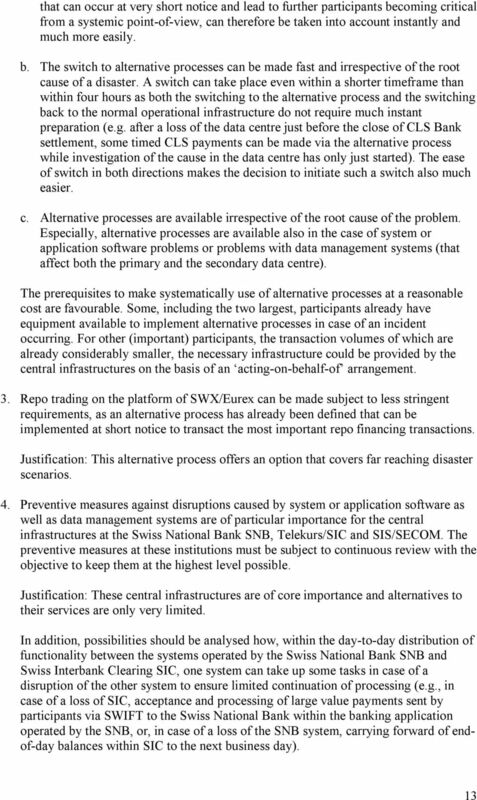 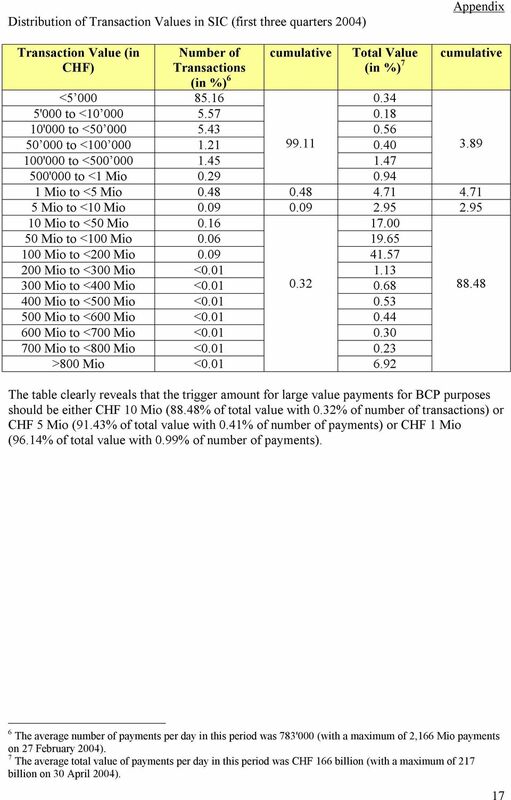 A Joint Paper by an Industry Group of the Swiss Financial Centre"
Recovery planning. 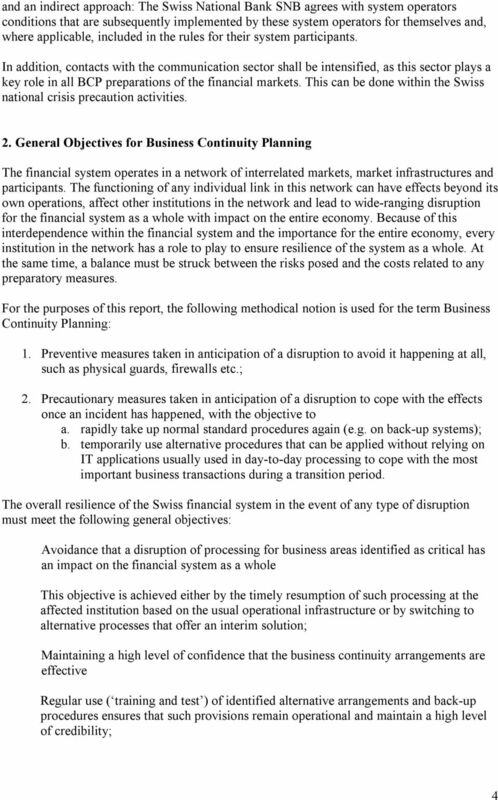 Comparative report on the approach to determining critical functions and core business lines in recovery plans. 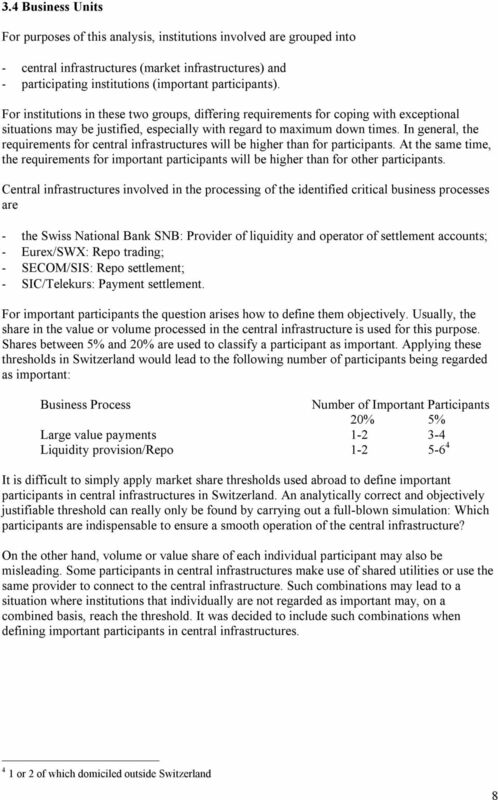 REGULATIONS ON OPERATIONAL RISK MANAGEMENT OF THE BUDAPEST STOCK EXCHANGE LTD.